Often considered a safer alternative to estrogen replacement therapy, progesterone replacement does not come without its own list of side effects as well. 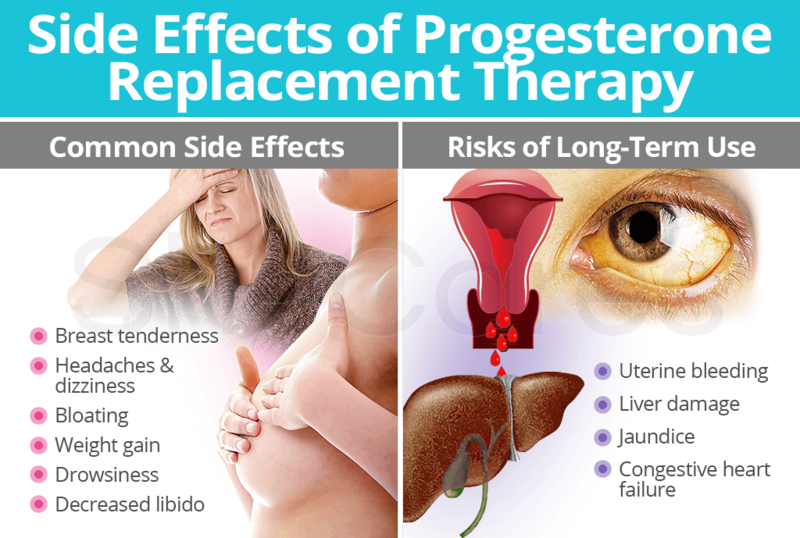 Continue reading to learn about progesterone replacement therapy side effects, including the most common ones as well as the risks of long-term progesterone hormone use for HRT. Without a doubt, this list is general. Every woman's body will react differently to the introduction of exogenous hormones, thus potentially leading to the presence of other progesterone replacement side effects not indicated above. Abnormal uterine bleeding. Long-term use of progestin-only pills leads to abnormal uterine bleeding due to an imbalance between free radicals and antioxidants in the body. Liver damage. Although rare, high doses of progestins can cause hepatoxicity. Stopping progesterone HRT resolves liver injury. Jaundice. 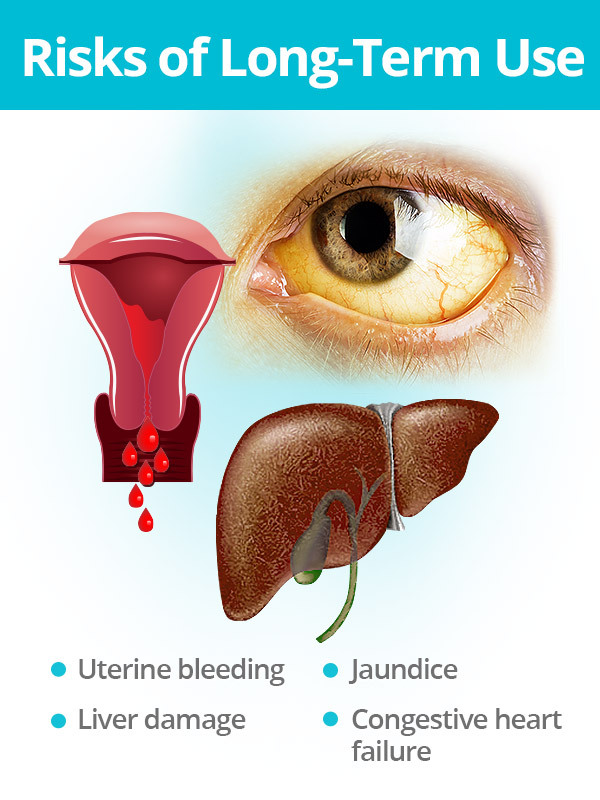 There have been isolated reports of jaundice during progestin therapy; however, a clear connection between the two has yet to be investigated. Congestive heart failure. Research studies found that increased concentrations of progesterone were related to an increased prevalence of congestive heart failure. Yet again, this list is not exclusive as it scratches the surface of many more that might develop, depending upon a woman's specific case. As always, it is best to work with a trusted healthcare professional to create a treatment plan specific to one's needs and adjust dosages as seen fit. Follow on to the next section about testosterone replacement therapy for a more complete understanding of the main hormones involved in HRT by clicking on the link.